If you have met someone truly special, you will probably want to impress him or her with something, whether it is your personality and charm, or a cool date. Many people think that a dinner is the very best option – you eat, you talk, you wear nice clothes. However, there is something unbearably boring and predictable about it. Why not do something original instead? 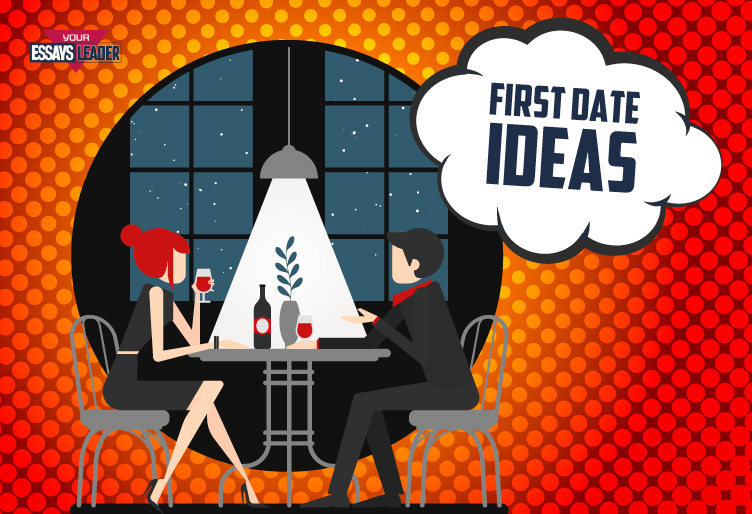 Here are a couple of more imaginative ideas for a first date that you might want to try. A fitness class or a yoga session can offer a great opportunity to showcase your body. And, of course, stare at your partner’s. Remember to pick something that both of you would feel comfortable doing. Your date becoming self-conscious for not being able to keep up is definitely not the result you want. Most importantly, have fun! On a related note, a dance class would also allow you to touch each other for a completely innocent reason. Paying a visit to a psychic may show that you are thinking about future. This is a great option for people with a sense of humor and adventure. Just do not try this if your date is a staunch rationalist. Volunteer together! This might seem like more of an established relationship thing to do, but try to think about it from a different perspective. This will allow you to learn more about you date’s character and ideas about life. Everyone wants a kind and compassionate person in his or her life, and doing something for those in need will help you find out whether you have already found one. Dare them to play video games with you. Personally, I am very competitive, so playing computer games with my partner is always a lot of fun. We play, laugh, throw pillows at each other, and generally have great time together. So, grab a console and enjoy a match or two. If you win, you can also get to know whether you date is a sore loser! Visit a used bookstore. Or go to your local Barnes&Noble. It does not really matter. If both of you appreciate good literature, going between the isle, reminiscing about your favorites, giving each other recommendation, laughing about some terrible reads, you have had, is an incredible bonding experience. Go shopping for gifts. Christmas season is soon, and now it is the best time to buy presents. Going shopping will give you a chance to learn about each other’s families and friends and the way you feel about them. You can also ask for gift ideas and recommendations, so if your date is successful, you will know what to buy as a Christmas present! Hopefully, these ideas will help you organize a great first date that will impress your chosen one and set you on the course to true love. Just remember, that if you want your relationship to succeed, all the consecutive dates are just as important as the first rendezvous!